If future excavations confirm the assumptions of archeologists, the theory about the shrinking and final annihilation of the Burnt City should be fully revised. If future excavations confirm the assumptions of archeologists, the theory about the shrinking and final annihilation of the Burnt City should be fully revised,” Seyyed Sajadi stated. “Seventy-four graves with 80 human skeletons in an area of 320 square meters have been unearthed and excavations of the cemetery this year have also produced 503 exquisite items such as colorful jars and dishes, precious bronze items and beautifully and meticulously crafted necklaces dug out from the graves. The tiny beads of the necklaces are just one millimeter in diameter with holes in the middle which are no bigger than 0.3 millimeter. 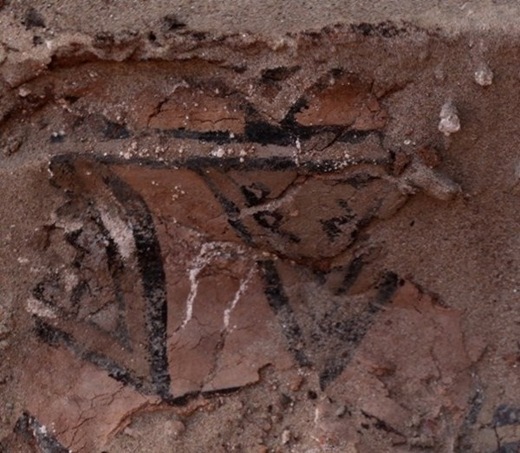 Among the findings, there have been also black and white as well as colorful dishes with lids which are still produced in the province,” the archeologist said.